We are engaged in manufacturing and supplying conveyor chains like solid pin conveyor chains, hollow pin conveyor chains, tin printing oven chains, cement elevator chains, sugar elevator chains, leaf chains, bottle washing machine chains and fertilizer handling machine chains. 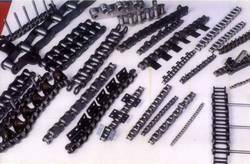 We are offering a wide range of Transmission Conveyor Chain. Our products are manufactured making use of premier-grade raw material sourced from the leading vendors. 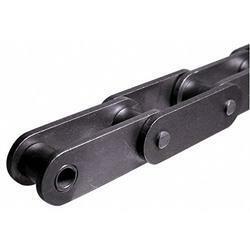 These chains help in transporting material in various industries in vertical as well as in horizontal position. The transmission conveyor chain are a solution when building constraints and production requirements do not allow use of uni-planar conveyors. We are the leading manufacturer and supplier of Roller Conveyor Chain. 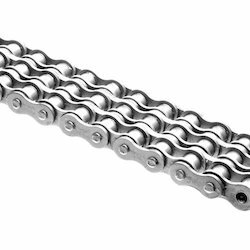 These Chain Driven Belting are manufactured from high grade material which ensures its superior quality and life long service. We offer these conveyors in various specifications to meet the diverse requirements of our clients. The use of premium grade raw material ensures that these products conform to the highest international standards of quality. 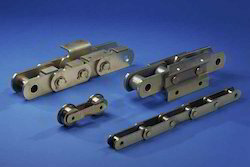 We are offering a wide range of Pharmaceutical Drag Conveyor Chains. 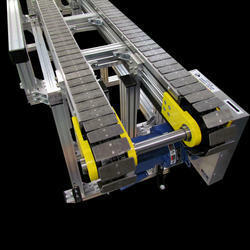 Meeting the requirements of various industries, we offer quality range of drag conveyors. 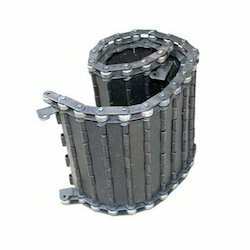 We are offering a wide range of Drag Conveyor Chains. Meeting the requirements of various industries, we offer quality range of drag conveyors. These drag conveyor chains are manufactured from premium quality raw materials procured from reliable vendors. The range offered by us ensures smooth material handling in different industries. We are the leading manufacturer and supplier of Steel Conveyor Chain. 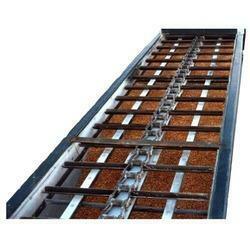 Our genuine conveyor chains with feeder bars for optimal conveyance of mix. This Double Pitch Conveyor Chain is highly appreciated for their high working capability and long functional life. 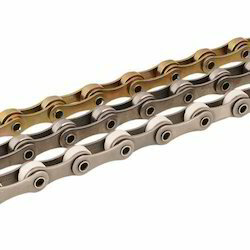 These chains help in transporting material in various industries in vertical as well as in horizontal position. We are the leading manufacturer and supplier of Conveyor Chains. Our conveyor chains are resistant to corrosion and temperature fluctuations. 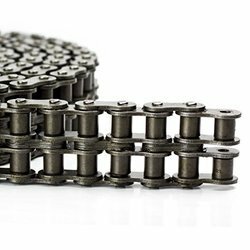 These chains are highly durable in nature and can easily work in glitches. 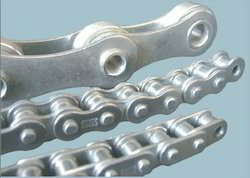 The chain is extremely efficient and consists of high tensile strength. These products are ideal for use in engineering, and sugar industries among others. We are the leading manufacturer and supplier of Redler Conveyor Chain. 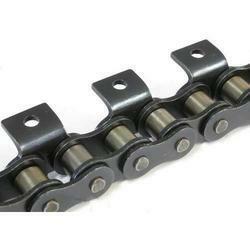 These chains cater to the demands of large number of industries. 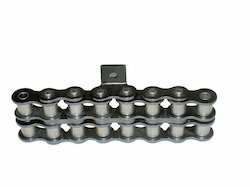 Our Conveyor Chains have a higher breaking load and low wear and tear compared to our competitors. 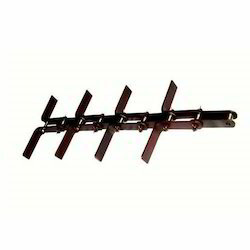 This is used to convey non-abrasive and dry & free flowing scraps from one place to another. We are offering Triplex Chain to our client. We are offering Special Purpose Conveyor Chains to our client. We are offering Double Pitch Roller Chains to our client. We are offering Double Strand Roller Chains to our client. We are offering Arrow Conveyor Chain to our client.